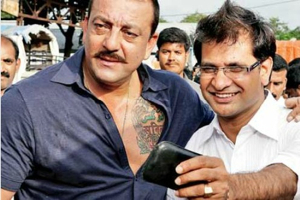 Sanjay Dutt has always loved role-switching between good and bad characters and different genres. So after playing the villain Kancha Cheena in Karan Johar’s Agneepath, he’ll change once again to the other side of the law and play not just one, but two cops: one in Ram Gopal Varma’s Department and one in Anand Kumar’s Zila Ghaziabad. So even though he has played cops many times before, this time it’s different for Sanju, and like in Shootout At Lokhandwala where he met and interacted with Aftab Ahmed Khan, the man his role was based upon, he did background research also for Department and Zila Ghaziabad. He asked for pictures, documents, articles, anecdotes to learn as much about Pradeep Sharma and Thakur Pritam Singh as possible – very astonishing for this actor who usually is not known for method acting but is, as Raju Hirani once called it, “completely an instinctive actor”. But in this case, Sanju doesn’t want to take chances. He wants to play these two cops as differently as possible – and he wants them to look authentic.